Home taping didn’t kill music, in the end it helped to preserve it. If it wasn’t for those who took the time and effort to record those radio broadcast, much would have been lost. The BBC might have complete shows in their archives but for obvious copyright/ownership reasons are unable to release them. The one good thing though it that if you live in London you can go to the British Library and listen to many archived Peel shows. But what about the rest of us ? The public, the world should be able to access these broadcasts and is it thanks to the indispensable John Peel Wiki that we can. And I’m getting to the point now – It is via that online public library which helped me listen to what you heard with John Peel’s shows on the BBC World Service. I myself got to be a listener in the mid-1990’s when I was in Germany. Munich to be precise. One of the things I discovered was that many people in Europe can speak or understand English, but the further away from the UK you go, the less that becomes the case. I moved to Munich before learning any German, it was short notice so I didn’t have the time. Before I flew out of Heathrow I purchased this world band radio (pictured below). You could get some English newspapers at the train station, but they were a day old. Back then in the pre-internet days, it was the radio and BBC World Service which was your contact with home. 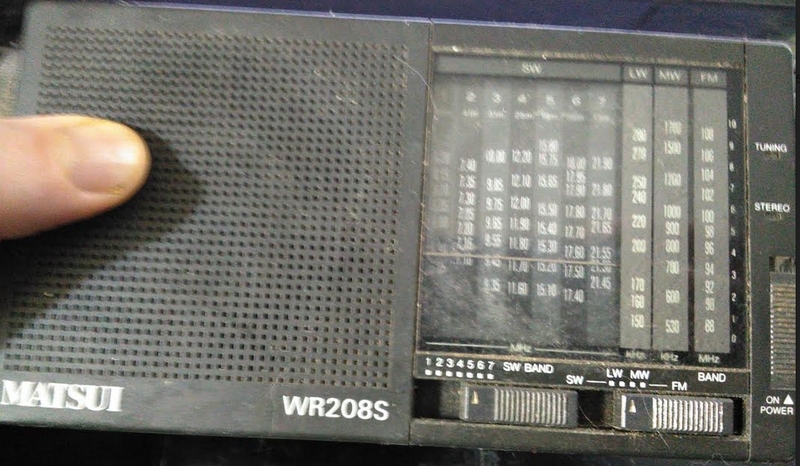 It was on this radio to my delight one night to hear the dulcet tones of John Peel doing one of his World Service broadcasts. It was a shortwave band on which I found him, with the signal fading in and out and interference over that. At some point it was nothing but noise… or that could have been Napalm Death, you never know… but this was Peelie doing his thing and it brought me comfort. Thanks to Life Has Surface Noise for the above. Over on the Twitter I asked people to let me know if they were in a band that recorded a Peel Session. At the time of publication I’m tweeting out the mentions from the many, many of you who did. There’s one band though – Keshco who weren’t lucky enough to get a session, but in 2009 they recorded a track from their album called ‘Peel Intro’ which recreates the short wave radio broadcasts as heard above. It’s good to know that years later even after his passing that the influence and memory of John Peel is still there.